Incredible. 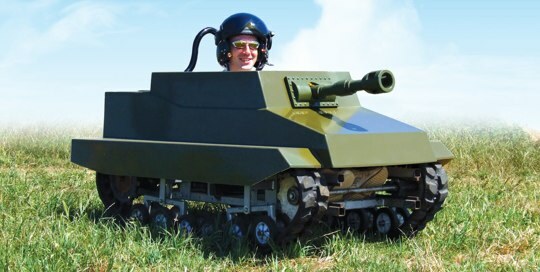 What do you get when you mix 2 of the manliest things on earth (paintball and tanks)? A war machine capable of decimating anything it’s 3.5 foot wide path. For a mere $14,400 you can have one of these beastly machines that every man within 800 miles will immediately covet. Each tank is built to your specifications and takes around 3 months to build. They’re produced in the UK and according to them can actually be driven on public streets! You can spend your life savings on this paintballing machine here. My husband is counting down the days until our first possible snow. I, on the other hand, could use a few more months of warm weather. If you are a snowbunny who can’t wait for the first snowfall to head out onto the slopes, here is a great product for you. An electrical strip is connected to the ski and provides a luminescence to either help guide those in your party, or it can be seen from a great distance. I guess it wouldn’t be a lot of help unless you skiied at night or enjoyed getting off the beaten path. Putt-Putt is one of those classic games that anyone of any age can play and be on the same playing-field with their skill level. The obstacles in putt-putt really just make it a fun game for everybody. Now, instead of having to pay $8 for a round at your local putt-putt golf place, you can setup your own course anywhere you choose! 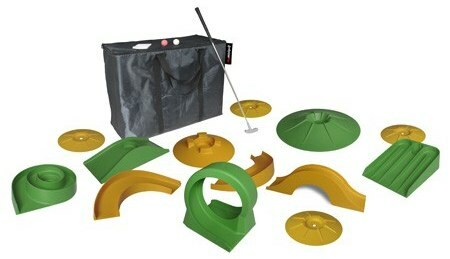 The “My Mini Golf Putt-Putt Course” is a 16 piece set of loops, holes, ramps, and more that let you create a unique course in your office, home, yard, or wherever you’d like. My main gripe? It’s a whopping $420 for the set!